Saturday night, we're giving you a laugh to last you all the way to Grandma's house. Maggy, Lekker, Plan B and Minority Re'port will provide the fun, we just need your laughs! Come out and play with us! 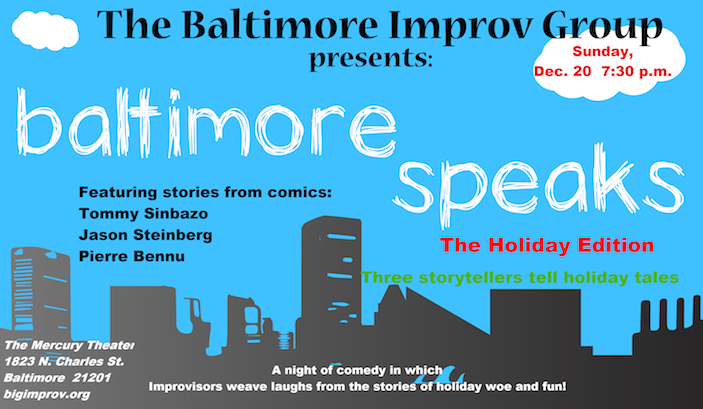 Sunday night, we have a special Holiday-themed Baltimore Speaks, our monthly storytelling + improv show featuring our friends from the Baltimore community. 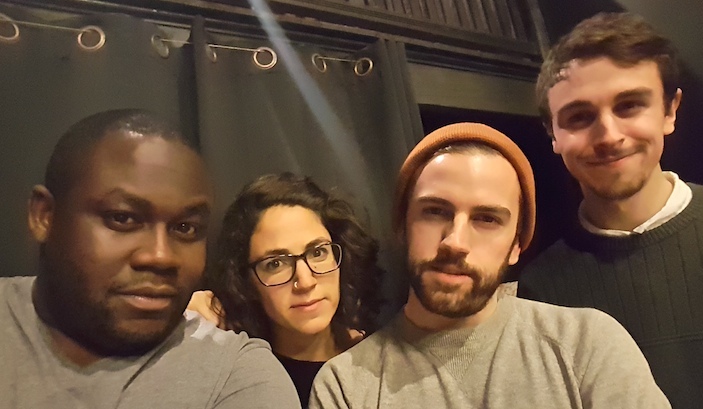 This month's show features Pierre Bennu, Tommy Sinbazo and Jason Steinberg. 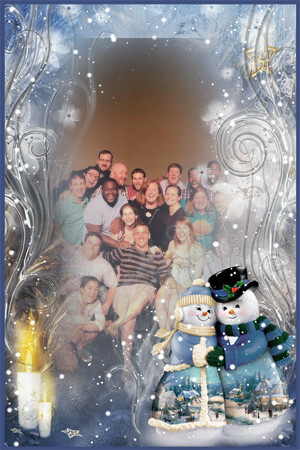 Our storytellers will give us humerous holiday stories, and our improvisors will turn them into hilarious scenes! Two projects and a Harold, what a deal! Friday means the end of the work week and the start of the weekend. Speaking of starts, we have a special premiere of the Queerprov project, a troupe formed by some of BIG's LGBTQ performers. Local Spot will be kicking things off and Training For Prom will wrap with a full Harold!